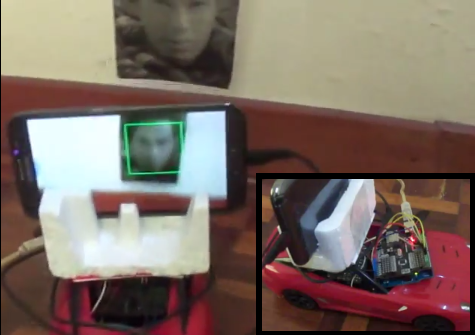 Computer vision based face detection systems are getting better every day. Authorities have been using face detection and criminal databases for several years now. But what if a person being detected is wearing a mask? High quality masks have been making their way out of Hollywood and into the mainstream. It isn’t too far-fetched to expect someone to try to avoid detection using such a mask. To combat this, [Neil] has created a system which detects face masks. The idea is actually rather simple. The human face has a well-defined heat signature. A mask will not have the same signature. Even when worn for hours, a mask still won’t mimic the infrared signature of the human face. The best tool for this sort of job would be a high resolution thermal imaging camera. These cameras are still relatively expensive, so [Neil] used a Melexis MLX90620 64×8 16×4 array sensor. The Melexis sensor is interfaced to an Arduino nano which then connects to a Raspberry Pi via serial. 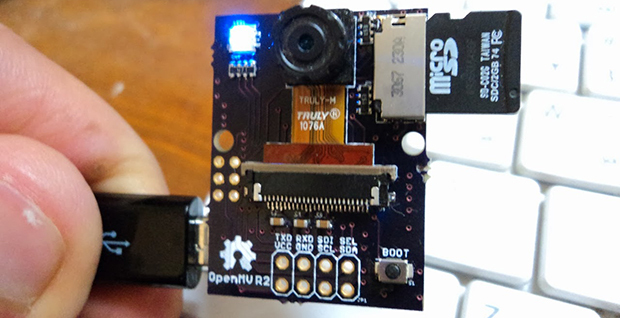 The Raspberry Pi uses a Pi camera to acquire an image. OpenCV’s face detection is then used to search for faces. If a face is detected, the data from the Melexis sensor is then brought into play. In [Neil’s] proof of concept system, a temperature variance over ambient is all that is needed to detect a real face vs a fake one. As can be seen in the video after the break, the system works rather well. Considering the current climate of government surveillance, we’re both excited and a bit apprehensive to see where this technology will see real world use.